Kaufhof GC01 Professional Heavy Duty Diamond Tip Glass Cutter. 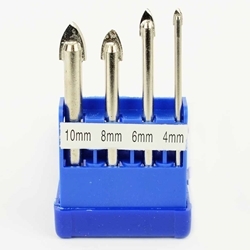 Professional Diamond Tip Glass Cutter made from the highest quality industrial diamonds available. This cutter makes an excellent score every time. 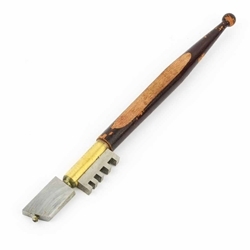 Diamond Tip Glass Cutter is perfect for use in areas where glass cutting oil is not suitable, such as medical and chemistry labs. 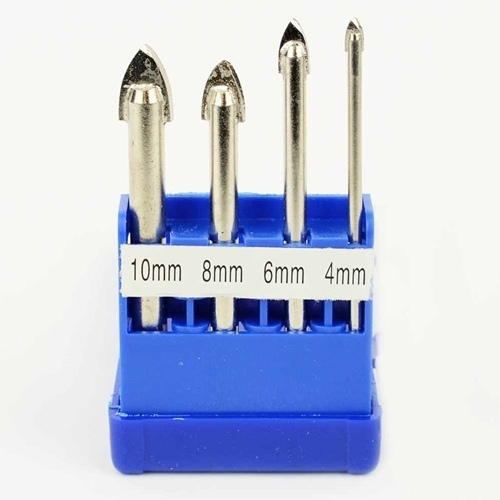 Kaufhof GLD4PC 4-Piece Glass & Tile Drill Bit Set (4mm, 6mm, 8mm, 10mm).Glass and Tile applications have never been easier. These products are heavily used by glass installers, remodelers, plumbers and general contractors. Our product features a unique product geometry with a precision tip, high carbon tool steel and reinforced head that results in best-in-class speed and life when cutting in glass & tile.